Our background in working with the design and construction industries, allow us to better service our Clients commencing from the planning phase through to the completion phase, for any Project. The reassessment objective was to help the CCLD Board to (a) identify and prioritize current maintenance issues, repair items and long-term capital improvement projects; (b) update cost estimates of incomplete recommendation items noted in a previous report and (c) develop a current and comprehensive capital improvement budget. BL worked closely with the CCLD staff, CC Buildings & Grounds Dept., and various specialty under-contract service -maintenance trades, as to provide a comprehensive report outlining all objectives. Steele Memorial Library – Construction of a Quiet Room Glass Enclosure; Reconfiguration of Space for a new Computer Training Room & Staff Office Space; Youth Services Reconfiguration of Space & Renovations; Main Circulation Desk ADA Accessibility Alterations; Elevator Safety & ADA Upgrades; ADA Parking Area; Green Roof Flow Alarm on existing Roof Hydrant; and Skylight Structure maintenance. 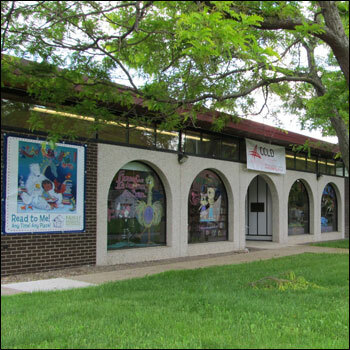 ​Big Flats Branch – Exterior Facade Restoration; Arch Window Replacement; HVAC Ductwork Cleaning & Sanitizing; Circulation Desk Replacement; All-inclusive Interior Renovations; Roof Scupper Reliefs; Electrical Distribution, IT and Plumbing Alterations. 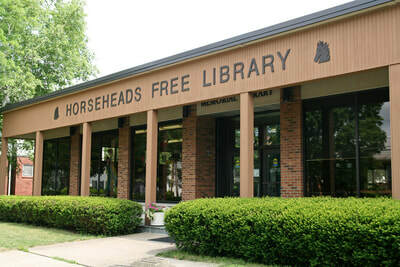 Horseheads Free Library – Meeting Room & Office Space Reconfiguration of Space & Renovations; Circulation Desk Replacement; Roof-top Exhaust Fan Replacement; Electrical Distribution and IT Alterations. West Elmira Branch – Exterior Facade Restoration; Arch Window Replacement; HVAC Ductwork Cleaning & Sanitizing; Circulation Desk Replacement; All-inclusive interior Renovations; Roof Scupper Reliefs; Electrical Distribution & IT Alterations; and ADA Parking Area. The 2012 Capital Projects were very successful. The final project costs were within budget and on schedule. Accessible Shower Additions to Existing Restroom Facilities & Free-Standing Accessible Shower Buildings. BL worked closely with the Ground Operations Manager as to develop a design to meet their objective, which was to construct safe and accessible shower facilities, to incorporate durable building materials and systems, with ease of maintenance, that were also energy & water efficient. Shower facilities were limited for their valued Race Fans who camp on site during Race events, in which can generate up to 100,000 in attendance. Co-venture with an Engineering firm for an Accessible Route / Exterior Facilities Alterations of Glen Valley Apartments Property Office Entrance / Courtyard Area alterations. 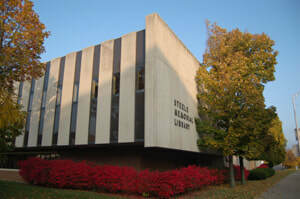 The Accessibility Transition Plan, included alteration to the existing property management office, and exterior courtyard to conform to the requirements of Uniform Federal Accessibility Standards, (UFAS) 1984. Vacant for decades and excessively deteriorated two-level Commercial Row-Building was given new life by a total gut-out restoration, and is currently operational. Two Professional Office Spaces occupy the first level, and two income residential apartments are on the second level. The first floor is accessible. The Owners acted as the GC and in addition self-performed the majority of the work. The project's focus was to salvage and reuse as much of the existing building materials as feasible. Various energy efficient systems were incorporated into this design including a concrete heat mass first floor system with in-floor radiant heat. Phase 1: BL performed an Existing Condition Structural Evaluation, field measure first and second levels as to develop existing first & second level floor plans denoting building specifics and worked closely with the Owners to develop an office space / rental apartment design layout to meet their needs. Contract Services to an Engineering Firm for Change of Ownership pre-purchase existing conditions evaluation to review structural and electrical-mechanical systems as to determine which require maintenance or modifications for proper and reasonable use of the facility; and to evaluate existing conditions in reference to proposed building use. The establishment is now operating as a viable service business - American Family Karate. ​The 1920’s circa, two-level 3,200 sf carriage house with an interior natural water fall was operating as The Falls Restaurant. Change of Ownership , Pre-purchase existing conditions evaluation to review structural and electrical-mechanical systems as to determine which require maintenance or modifications for proper and reasonable use of the facility; and to evaluate existing conditions in reference to proposed building use. The Restaurant is now operating as a fine dining establishment, MuraBella's. As a participant of the Solarize Tompkins Program the Owners needed to address various related items prior to installation of the chosen renewable systems. This included demolition of a brick chimney, installation of a white metal roof system prior to installing the roof-mounted solar thermal system; and increasing capacity of the electrical main distribution panel and demolition of a deteriorated outbuilding prior to the installing the ground-mounted Solar PV system.